This plant is seemingly ubiquitous in urban, suburban, and rural environments for a few reasons. 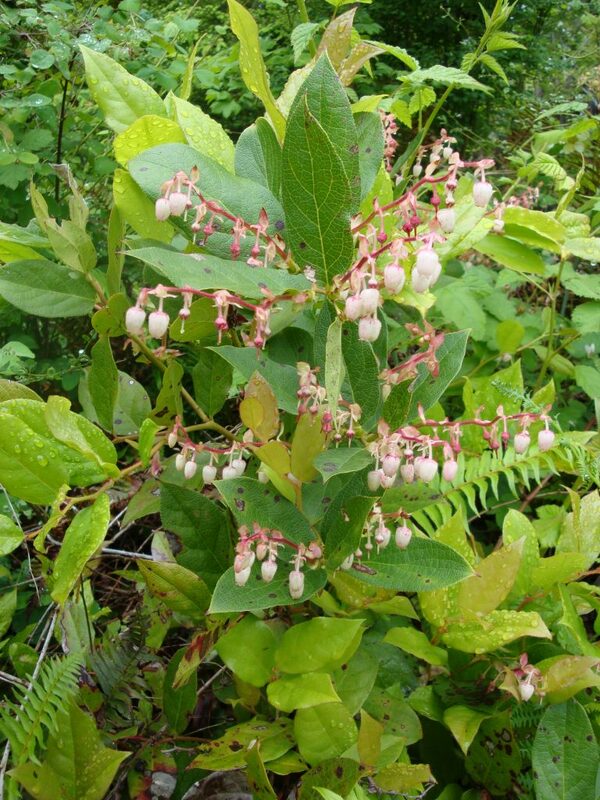 Salal grows well in partial shade and well drained soils, is deer resistant and considered fire resistant. 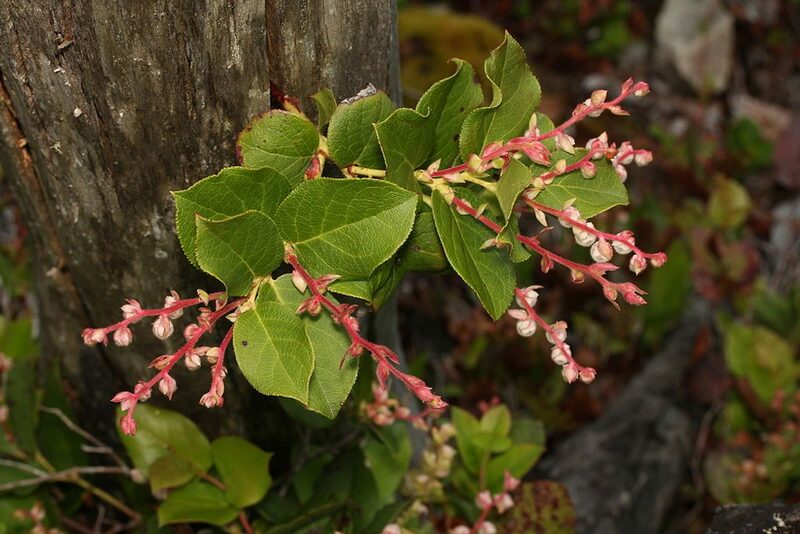 This leathery-leaved shrub prefers partial shade, and dry well drained soils. Bell-shaped flowers bloom March to June, and are visited by bumblebees. The shrub spreads by suckering which also makes it a great choice for erosion control. The black berries are edible fresh and dried. The berries can be used in jams or preserves, and often are suggested to be mixed with other berries such as Salmonberry or Thimbleberry. Caution: Make sure you can properly identify the plant before harvesting. Follow all county regulations regarding harvest. Consider the location of a plant you want to eat to potential pollutants or toxic contamination. Listen to your best judgement, make sure the crop is abundant and healthy before you harvest. Make sure to leave some behind for wildlife and plant reproduction.